What makes a house a home? Though many applicants are experiencing long waits for council properties, people do not feel better after settling into their new council accommodation as most do not have funds to furnish it properly. To avoid living in a bare flat, many tenants turn to moneylenders to buy the basic furniture or appliances they desperately need. But there is one social enterprise addressing the problem: FRC Group, which won a social impact award recently from Social Enterprise UK, connects low income households with access to high quality furniture. As opposed to costly private providers, FRC, the only social enterprise in the furniture industry working directly with housing associations, provides bespoke goods to help council tenants in need via public service tenders or through individual purchase at two shop outlets in Liverpool. FRC aims to prevent people from applying for high-interest credit to furnish their council homes. They even give furniture free of charge to unemployed residents even though they changed their model from a charity to a social enterprise 15 years ago. “Through Bulky Bob’s, a collection service for large items, we win bulky waste contracts from local authorities, which provide access to great quality reusable furniture to give to people in need,” says FRC Group chief executive Shaun Doran. Set up as a charity 25 years ago, FRC was originally operated by volunteers at that time and unwanted furniture was donated. But now their business model focuses on two areas: the provision of furniture for council houses and lobbying to convince housing associations of the importance of furnished property. Amongst the challenges peculiar to social enterprises – such as a complex organisation with less resources and a complex customer base – FRC still manages to compete with private companies on price. Customers are referred to their two stores by agencies and NGOs such as Citizens Advice Bureau and the Big Issue Foundation. People in receipt of community care grants buy furniture from FRC also. On-the-road events take furniture to community centres for people who can’t make it to stores, and about 20 such events are organised annually. 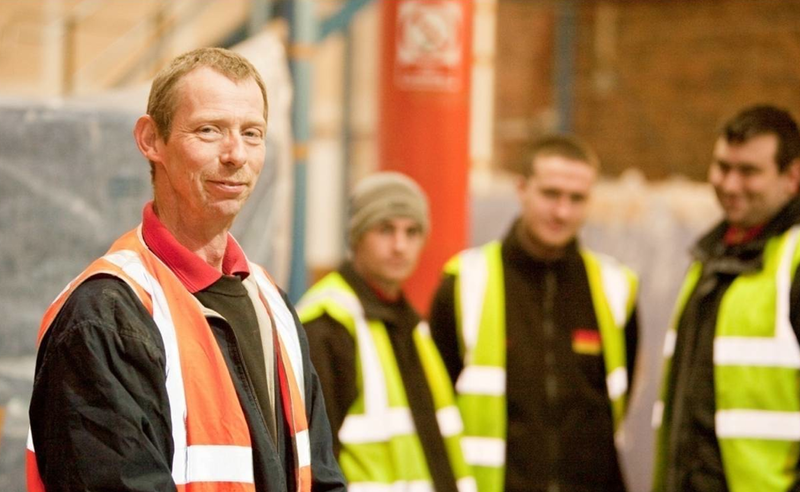 Also, the FRC Group also creates training opportunities for long-term unemployed people to develop their skills, experience and qualifications. They train people who struggle to get into work from available routes. Eighty per cent of people moved into work after completing those training programmes. “The surpluses that we make from contracts with housing associations are use to deliver training programmes,” says Doran. Driving Change is their logistics training programme. Two other training programmes are in administration and retail, in which trainees do real work while learning new skills. Now, 30 per cent of the FRC Group workforce are former trainees and the other 30 per cent are current trainees who are doing physical work and receiving salaries. In total 100 employees work towards the common goal of making liveable homes for council tenants, with over £5m turnover expected for 2013-2014 financial term.